Doesn’t it look so cool? I love that we get to see Jem’s cane from the cover for Clockwork Prince again and the necklace he’s holding also seems familiar. You can pre-order the book on Amazon / Barnes & Noble / Books A Million / Indiebound and add it to your goodreads TBR. 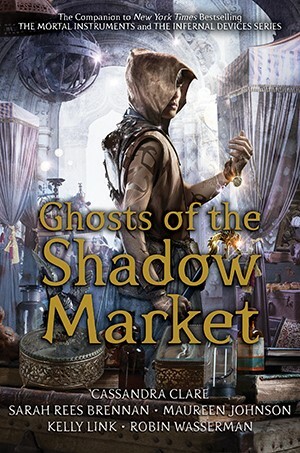 Ghosts of the Shadow Market will be published on June 4, 2019! What do you think of the cover? Are you able to find more easter eggs? Leave us a comment with your thoughts!